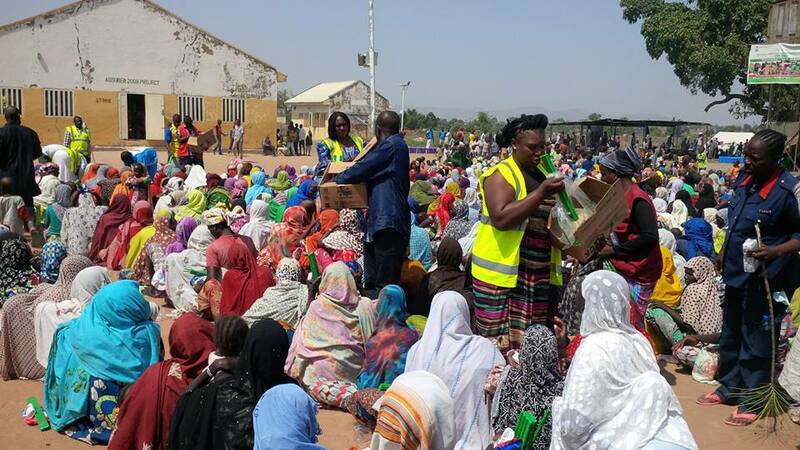 Buhari has intervened at the Bama Internally Displaced Persons (IDPs) camp with the delivery of drugs and food. A report by Borno State Government claimed that about 200 children were killed by malnutrition in a month at the camp in the heart of Bama which was recently liberated from Boko Haram. The President’s team to Bama was led by his Special Adviser on Social Investment, Hajiya Maryam Uwais. 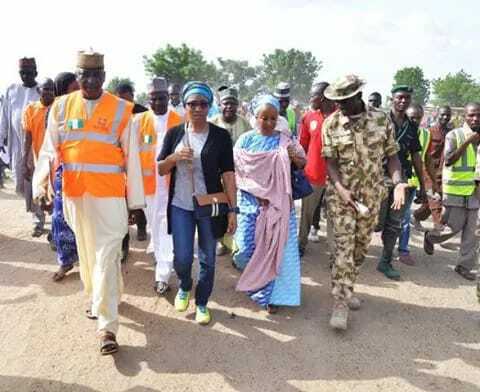 Uwais, in her address to the IDPs on Thursday, acknowledged the enormity of the chal- lenges they faced and assured them that President Buhari was concerned and committed to addressing their plights. Uwais commended the military for their gallantry and dedication to securing and caring for the displaced persons, while acknowledging that “this is a crisis situation.” She assured that the federal government would work with the state government, interna- tional community, local partners and civil society groups to ensure that all the needs of the inhabitants of Bama camp, and the several others like it, are speedily met. The Senior Special Assistant to the President on IDPs, Dr. Mariam Masha, who was also in the entourage assured that alongside the humanitarian work, the federal and state governments are also focusing on the longer-term work of ensuring that the reconstruction and resettlement is effectively hastened to enable the IDPs return to their homes and communities, and rebuild their lives and livelihoods. She added that as the military continues its task of liberating hitherto isolated communities from the grip of Boko Haram, the scale of the humanitarian crisis is certain to increase, and called for increased sup- port from all partners and stakeholders. 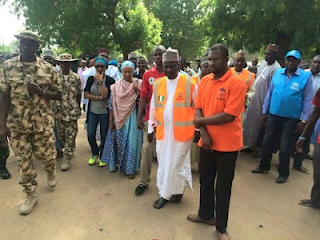 The North East zonal coordinator of National Emer- gency Management Agency (NEMA), Alhaji Mohammed Kanar disclosed that the Federal Government through the Presidential Initiative for North East had commenced the construction of 500 new tents each in some identified camps in Maiduguri as well as all the satellite camps including Bama, Dikwa, Moguno and Konduga. The delegation was taken around the Bama camp, home to 25,000 adults and children, by the Brigade Commander of the 21 Armoured Brigade, Bama, Colonel Adamu Garba Laka. The Commander highlighted the challenges faced in the camp, including shortages of medical personnel, shelter, water and sanitation facilities.